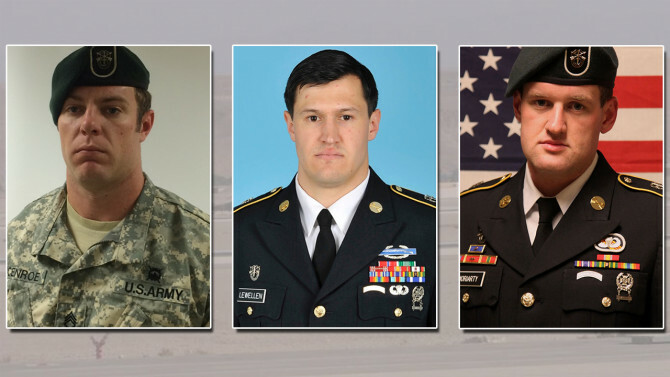 CBS evening news reports that 3 U.S. soldiers were killed earlier this month was considered a tragic accident. Until footage was released and it’s now considered a ‘terrorist attack’. The three soldiers, all Green Berets, were working for the CIA in Jordan, an important U.S. ally. The footage shows the soldiers approaching the Jordanian air field, stopping at the security entrance, where the Green Berets are based. The first vehicle was allowed to pass through but then the Jordan solider opened fire on the second vehicle killing both Americans. The Americans in the third and fourth vehicle jumped out and returned fire. One more American was killed before the Jordan soldier was injured who is now in a medically-induced coma. Jordan officials claim the shooting happened because U.S. soldiers did not follow protocol by stopping at the gate. The U.S. embassy argue the security footage shows otherwise. The FBI have begun an investigation.